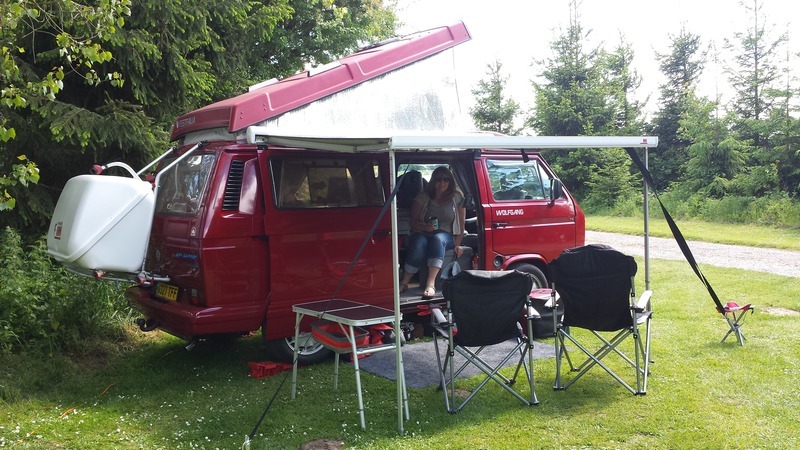 I decided i didn’t want to go upwards with roof bars and top boxes because I wanted to increase the flexibility as far as restricted height car parks were concerned. So looking at other options I saw the Fiamma Ultrabox 320. This was designed to go on the back of campers and motor homes and fits on the bike rack I already had installed. So after deciding this was the way to go I looked on Ebay, Gum Tree and finally found one that met our price bracket on Pre-Loved. 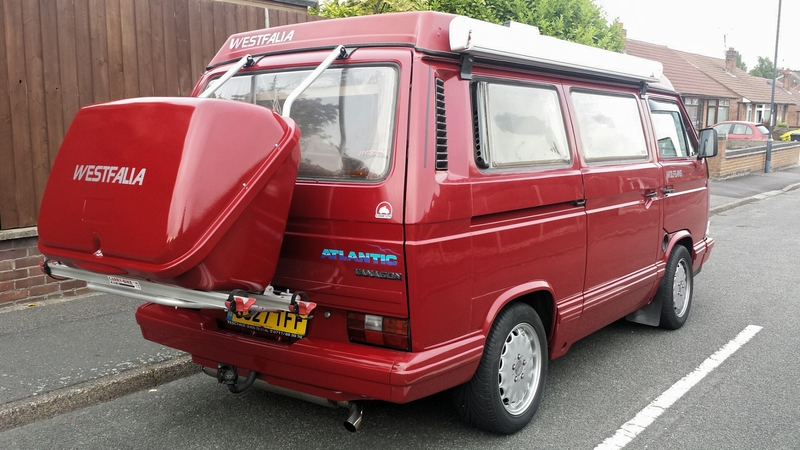 It was virtually new and only been used once before the owners sold the motorhome. We got the box for £140 which was a massive saving from the £400 odd they cost new. 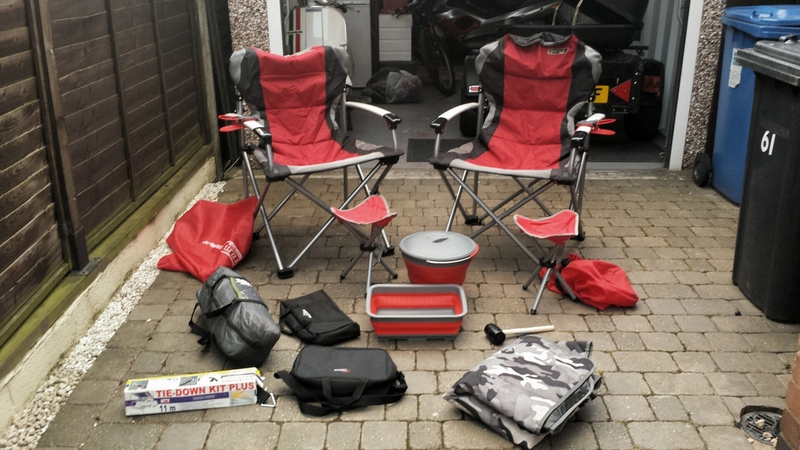 Two large camping chairs, two foot stools, collapsible bucket, wash bowl, BBQ, mallet, Fiamma awning tie down and awning mat and a Utility tent for that all important item …the portaloo.